Attend a one day, 8 hour class with a Certified Bars Facilitator and you'll become a qualified Bars Practitioner by the end of the day or watch the online video and learn it for yourself right now! 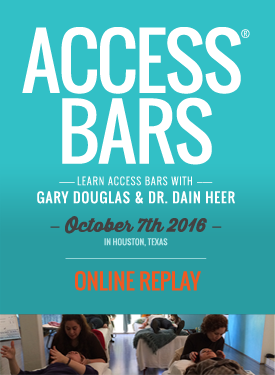 To learn how to run Access Bars, you can either take a live class from a local Certified Bars Facilitator or stream a pre-recorded class online. You can also learn it from home if you have the DVD or watch/download the video online. 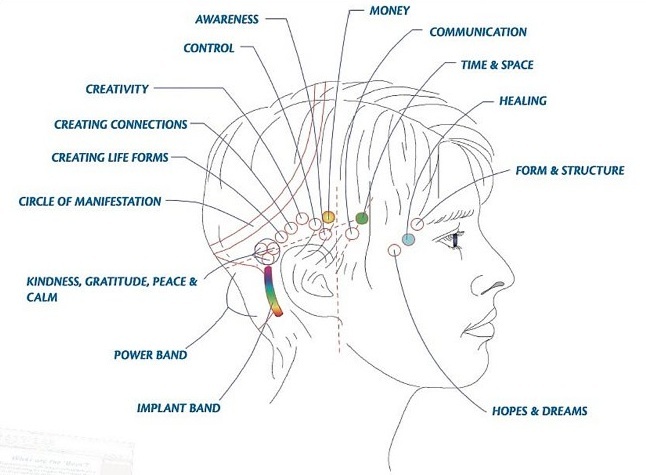 In just the last 6-7 years since Access Consciousness® has gained popularity it has reached tens of thousands of new people in dozens of countries around the globe and the amount of Bars Practitioners has increased exponentially! 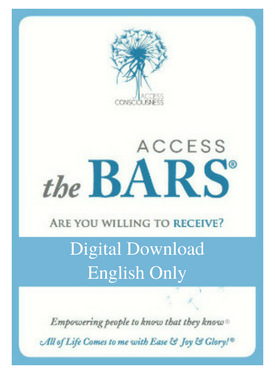 There are thousands of people worldwide in over 173 countries who are now making a living out of offering private Access Bars sessions and teaching Access Bars classes. Some are massage therapists, body work specialists, or energy healers who have now added this process into their practice. But even if you NEVER have any plans to start a Bars business or earn any income with this new skill... when you run Access Bars, it can still be one of the most kind and loving things you could ever gift to your friends and loved ones in your life. Also, don't think you need a proper massage table to do this... some people use zero-gravity chairs, recliners, low beach chairs, edges of beds, and even passenger seats of cars reclined back where the gifter is in the back seat with receiver's head in their lap. If you can both get comfortable, go for it... just don't forget the pillows. 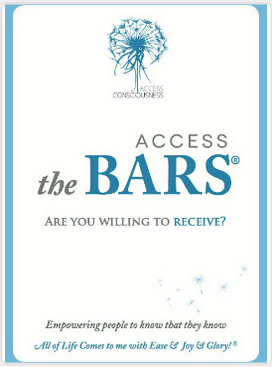 Want To Learn Access Bars® From Home? Click any of these links to purchase the DVD, Video Download that will teach you where the points are and how to run Access Bars for yourself and others or choose the Online Class to qualify for Certification. 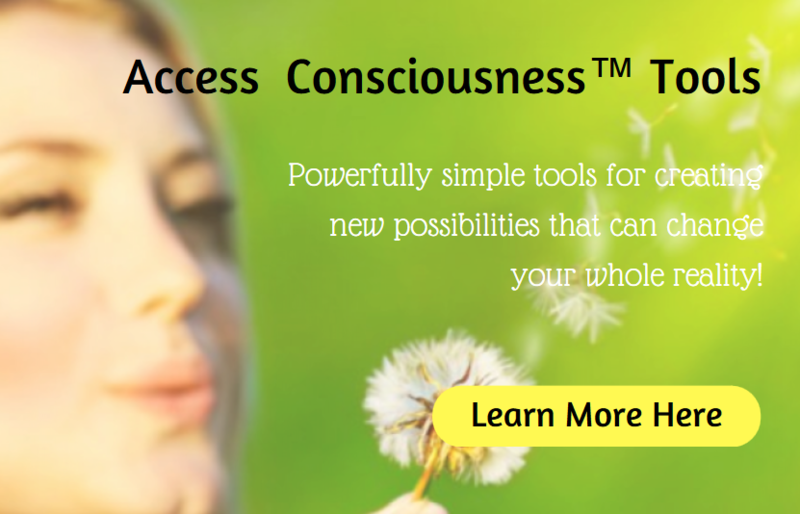 Get easy links to ALL of the Access Consciousness free tools, radio show, video & blog links, hot products and MORE! During Access Bars classes you will spend 7-8 hours learning The Bars with total ease. The cost of your first class is $350US. You will receive the repeat price if you have taken and Access Bars Class at any time prior, your cost for each subsequent class is half price. Children age 15 and under attend for free (with paying adult), ages 16, 17 and 18 years old pay half price. If you take 3 Bars classes with 3 different facilitators, you are eligible to become a Certified Bars Facilitator. Many people have created successful businesses with this unique, gentle-touch therapy. In addition, you will be provided with a comprehensive manual, charts and other information to assist you in running Access Bars as a Practitioner on your own, for other people. Find a Bars class near you.